Facebook is the social network with most users worldwide, with more than 800 million active users. 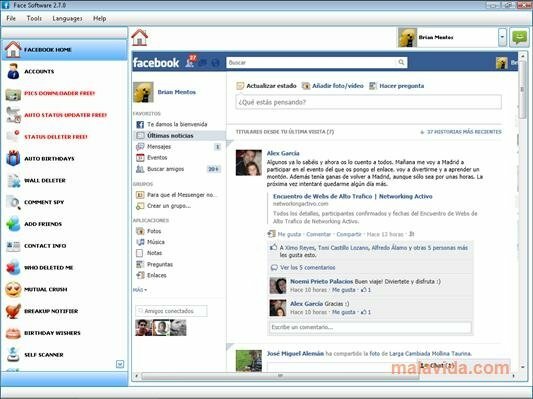 But to be able to keep up with all the changes that occur over the social network, it's necessary to resort to the browser, unless you have a program like Face Software. Download photographs from your wall or that of a friend. Tag deleter, that will allow you to easily eliminate unwanted tags. Autoscan, to locate all the contents that you have written and all your "likes". Eliminate all the photographs from an account. Find out who has eliminated you as a friend. 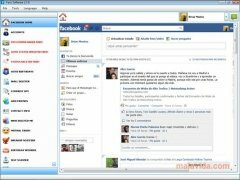 Therefore, if you want to have much more control over your Facebook account, you should download Face Software. The trial version has many options disabled.